If you have never smoked a chicken you may wonder what all the fuss is about. Maybe you think that there’s not much difference between smoking and baking where you pop the chicken into the oven for an hour and it’s ready. You can’t see any reason to spend the extra time on smoking it (or brining it, which will be explained later). But it is not the same at all. When you do it right, a smoked chicken and a baked chicken taste like their very distant cousins. The smoked chicken will win the taste-test every time. In the process of brining, a mixture of salt and other spices are mixed with water. The meat is immersed and remains in this water so that the brine and all its flavors can be absorbed. 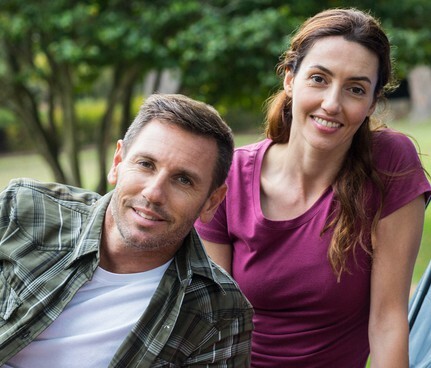 When you smoke meat at low temperatures, the connective tissues are broken down. What you end up with is a piece of very juicy meat that melts in your mouth. You will love it and will prove to yourself that it is well worth the extra time and effort. First, fill a bowl or some kind of container with 2 quarts of cold water, ½ cup of table salt and ½ cup of white sugar. Mix them well to dissolve the sugar and salt. If you would like the extra flavors, add ¼ cup of soy sauce and a bit of lemon juice and olive oil. This is your brine mixture. Mix them together well, then set it aside. Next, place the chicken pieces into the brine. All of the pieces should be fully covered by the water. If possible, leave them in the brine overnight to allow them to soak up as much flavor and moisture as possible. However, they can be brined for as little as 30-60 minutes and they will be ready to smoke. You will want to keep the chicken in the refrigerator at all times unless it’s being prepared for the brine or the rub. Aside from health and safety issues, cold meat will absorb the flavors from the smoke much better than meat that has cooled down to room temperature. It will be best to leave it in the refrigerator until the last minute, taking it out just before setting the chicken on the grill. When you’re ready to start grilling, remove the chicken from the refrigerator and take it out of the brine. Dry each piece with paper towels, removing as much water as you can. This will allow the rub to stick to the chicken while it’s smoking. 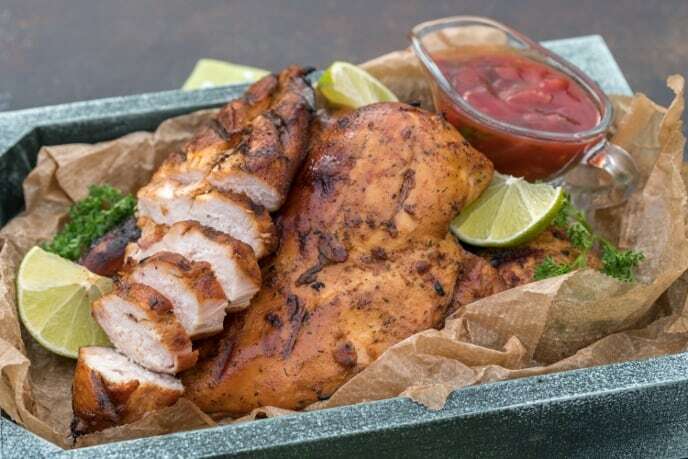 With the chicken over a bowl or baking sheet, use a spoon to generously cover it and use your hands, rub the spices into the meat. Be sure the whole piece is completely covered. If the grill is still heating up, return the chicken to the refrigerator. Fill the chimney of the smoker completely with charcoal with a few pieces placed into the firebox. Light the charcoal and allow it to heat up for about 15 minutes. Both the chimney baffles and the intake should be left open. Wait for it to reach a temperature of 225°F. Before the grill reaches 225°F, lubricate the grill rack with a little bit of canola oil. You can do this with tongs and paper towels that have been dipped in the oil. This should be done on a clean grill. If it’s not clean, scrub it with a wire brush after it’s begun to heat up, making it easier to brush away any of the old grease that was left from the last time you grilled. Now you can begin to place the wood pieces over the charcoal. The three vents at the bottom of the grill must be wide open. The top vent also needs to be left open. The foil-lined water pan should be placed on the grill. Put a few hot coals near the pan to make a place for indirect and direct cooking. Now add the chunks of wood to the charcoal in your preheated grill. 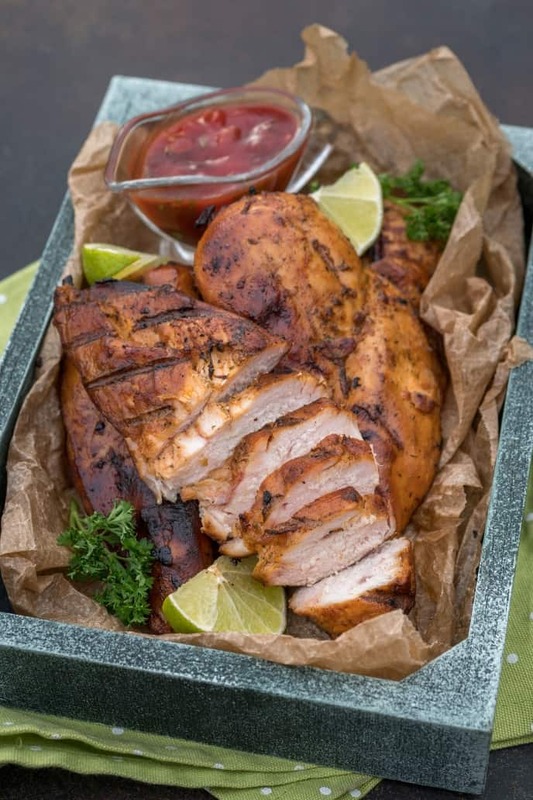 This smoked chicken breast recipe is one of my favorites that I regularly cook on weekends. Nothing beats a smoked meat flavor combined with delicious brine and rub. 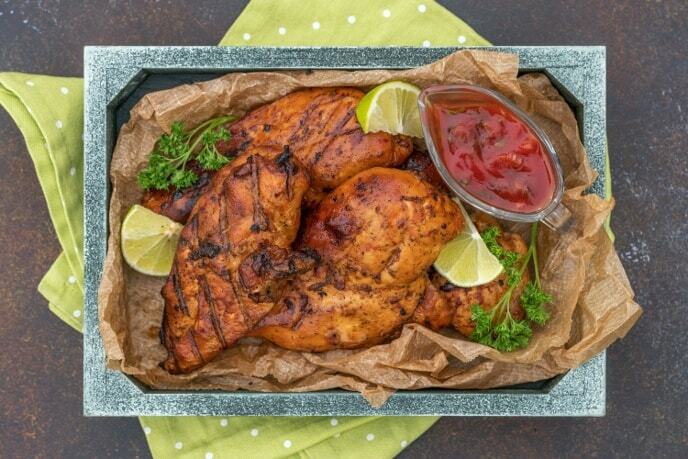 Take the chicken from the refrigerator and bring it to the grill, setting the pieces over the water pan. The vents at the bottom of the grill will need to be adjusted once the meat touches the grill because it will cause the temperature to drop. It needs to remain at 250°F. If you can 'fine-tune' the intake baffle while the temperature rises, keeping the baffle wide open, it will soon reach the required cooking temperature of 250°F. Then you can close the baffle. Don't peek! Lifting the lid to constantly check on the meat will slow down the cooking. Keep the lid closed for at least the first 45 minutes. During these minutes of waiting, you should begin to prepare your sauce so it will be ready for basting. You can begin basting after the 45-minute mark, allowing a full 15 minutes for the sauce to seep into the chicken. This is a very easy thing to do. First, pour a bit of the sauce onto each piece of chicken, then use the basting brush or the back of a spoon to cover the meat's surface. After a couple of minutes repeat this process. For more of this flavor, turn the meat and baste the other side. To intensify those flavors even more, you can start basting a few minutes earlier, or keep the chicken on the grill and baste it for a few minutes longer. After an hour, check the internal temperature by inserting the thermometer at the thickest part of the biggest piece of chicken. The internal temperature should be at least 165°F. You are now free to remove the chicken from the grill. If you are new to smoked chicken, prepare to be pleasantly amazed and even impressed with yourself. Smoking and brining chicken breasts is a great way to prepare a meal. I just started smoking in the last few months. I’ve been looking for a good smoker chicken breast recipe. This was fantastic! Made this for a football game. I sliced it up and we aren’t it with cheese and crackers. Everyone absolutely loved it! Plus it was easy to make. Amazing recipe! It was my first time using my smoker and this was amazing! Chicken was very moist! Thank you for the great recipe and directions.